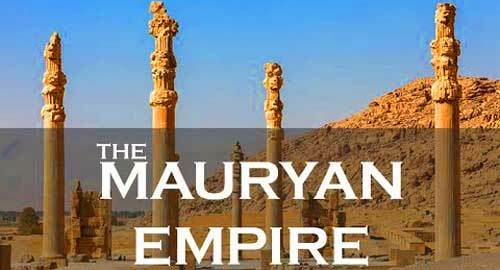 One of the most important and significant dynasty that existed before Christ is the Mauryan Empire founded by Chandragupta Maurya. Chandragupta was born around 340 B.C. in Patna. It is not clear about who were his parents as different records are present. Some say both parents were Kshatriya while other says that his father was King while mother was a maid called Mura. It is also claimed that Chandragupta belonged to Assakenoi or Ashhvaka Kshatriya . No clear information is available about the childhood of Chandragupta. Kautilya also known as Chanakya was an enemy to Nanda Dyansty. He was very intelligent and witty. He used to mix poison in Chandragupta maurya’s food as precautionary measure. He was doing this to save King from poison given by his enemies. With his intelligence and cunning mind Chanakya managed to overthrow the Nanda dynasty and made Chandragupta Maurya as the King of Mauryan Empire. The acquisition of Magadha was the first step in establishing a new kingdom. The Mauryan Dyansty spread all over India from North to South and from East to West. It extended from Afghanisthan in the east to Mynamar in west and from Jammu in the north to the Deccan plateau in the south. Chandragupta also conquered some parts of central India and brought whole of north India under Mauryan Empire. After ruling for nearly 25 years he became a Jain ascetic and left his throne to Bindusara. Chandragupta retired to Shravanabelogola to follow Jainism where he believed to have breathed his last. Bindusara was the second Mauryan emperor. He was the son of Chandragupta. Bindusara conquered from sea to sea and extended his dynasty. Like his father Bindusara also kept good relations with his foreign rulers. The contemporary Greek King had sent Deimachus to the office of the ambassador in the court of Pataliputra. There is some controversy about how Bindusara died. Some texts quote that he had natural death. While other say that due to unhappiness in Royal family, he died. Bindusara wanted his elder son Sushma to be the next King, but since he had insulted Brahmins they were against him to be King. So Asoka, son of lower caste queen took the reign of Bindusara. All these reasons might have made Bindusara die in 272B.C. after ruling for 30years. Ashoka was one the greatest ruler of Mauryan Empire and a great follower of Buddhism. He is the 3rd ruler and grandson of Chandragupta Maurya. His mother was low class princess called Dharma. She was daughter of a poor Brahmin. She was very beautiful even the chief queen was jealous of her beauty. Ashoka also known as ‘Ashoka the great’ He was born in Pataliputra on 304B.C. and died on 232B.C. Born into a royal family, he was good at fighting and was very brave. Besides he was very good in hunting which is evident from his ability to kill a lion from wooden rod. His brothers feared about him and so convinced their father to post Ashoka as a general to distant frontiers. Ashoka proved a competent general and became aware of his brothers as a rival for the throne. It is believed Ashoka killed all his brothers and became King in 272B.C. 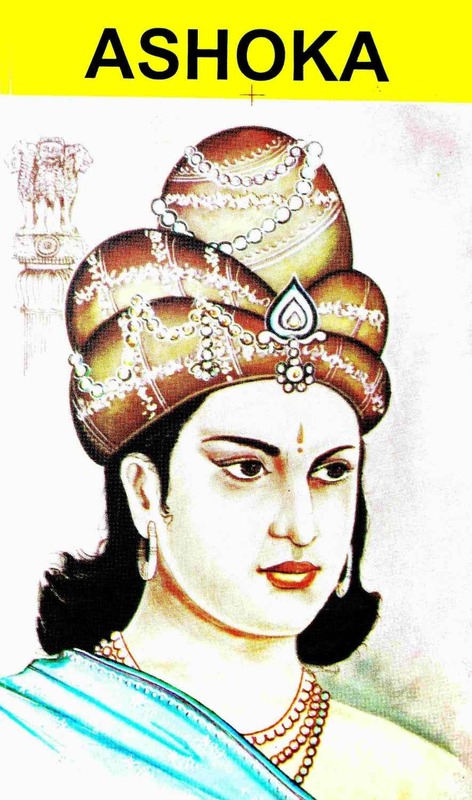 when Ashoka was 18 yrs he was sent to Ujjain as Viceroy. This is time when he met his first wife Devi who was daughter of a merchant from Vidisha. Ashoka had two children from this wedlock namely Mahendra and Sangamitra who were famous to spread Buddism. Ashoka was called back by Samrat to Pataliputra. He went back alone leaving his wife and children as they belonged to merchant family not fit to be princess. After returning he married Asandhimitra and was the chief queen. Ashoka was one of the greatest rulers of Mauryan Empire. In the beginning Ashoka ruled like his grandfather. He captured many kingdoms from north to south and east to west. After ascending the throne in 272B.C. he had to wait for four years for coronation in 269B.C. He was constantly at war in the beginning of his reign. He expanded his empire across the Indian sub continent including Iran and Afghanistan in the west and Bangladesh and Burmese in the east. 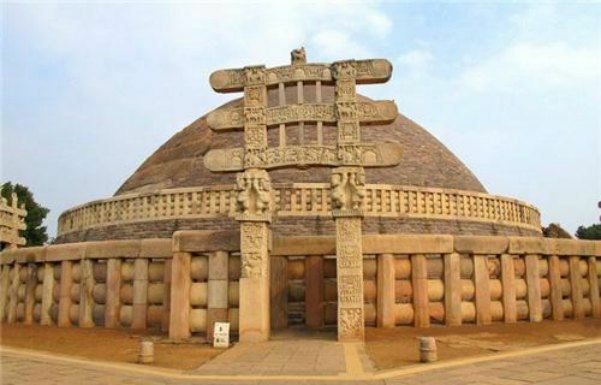 Kalinga, a place which is situated in northeast never came under the control of Chandragupta Maurya or Bindhusara. Ashoka decided to conquer Kalinga and hence decided to lead a army to Kalinga. Fierce battle took place between Asoka and the ruler of Kalinga. Many soldiers died. One of the important wars in the history of mankind is kalinga war. This war changed Ashoka from fighter to follower of Buddism. This war happened in the year 261 B.C. The reason behind the kalinga war was many. During Nanda period kalinga was under Magadh Empire and later on became an independent state. Kalinga state was very powerful with huge army power and soldiers. Chandragupta and Bindusara tried to conquer but could not because of its huge material prosperity due to trade relations with Malay and Ceylon for which Ashoka could not neglect its importance. From the account of Greek writer diodorus it is known that kalinga people possessed the largest size elephant. Kautilya in his Arthashastra also described the elephants of kalinga as the best in India. Other reasons for kalinga war were that people of kalinga dominated the Indian Ocean and controlled the overseas trade too. The land routes for internal trade from Gangetic valley towards the Deccan were also controlled by kalinga. All these and many more led to kalinga war. A fierce war was fought between Ashoka and ruler of kalinga for many days. More than 100,000 people were killed and 1,50,00 people were taken as prisoners. There was blood shed everywhere. 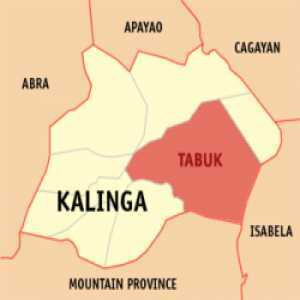 Kalinga had become a place of full of blood. Many wounded people were crying in pain. There were many horses, elephants died and lying on the ground. Many people who had lost their beloved were crying and mourning. Even though Asoka won the kalinga war, the bloodshed changed Ashoka. He returned to Pataliputra with heavy heart. Ashoka was grief stricken, he could not sleep at night as scenes of pain, bloodshed, and cries haunted him. Even his wife Devi who was a follower of Buddhism left him. After ruling for 40 years with harmony, humanity, love, non-violence, Ashoka died in 232B.C. and thus came to an end to the Mauryan Dyansty. Many rulers who came after Ashoka in Mauryan Empire were insignificant. Kalinga war had indeed a very great and positive impact on Ashoka. All these were directly under the control of King. The economy during Mauryan Empire flourished. Industry, trade and commerce, revenue collection was very good. Agriculture was the main source of income. The Mauryan’s established a centralised government to the economic progress of the country. Rice, pluses, vegetables, fruits, spices were also produced. The state had agricultural farms, cattle farms and dairy. Water for irrigation was distributed. The famous inscriptions done by Rudradaman at Junagarh mentions that Chandragupta’s governor Pushyagupta was responsible for building a dam on Sudarshanalake near Girnar. The other important occupation was trade. The main export was different spices, pearls, diamonds, cotton textile, Ivory works, conch shells etc. The main important trade were horse, gold, linen, etc. Trading was an important source of revenue which became a major revenue earner in the post Mauryan period. Trade was organised in merchant guilds called as Sangha’s and Srenis. The percentage of profit to merchants was fixed and excess profits went to treasury. The commodities manufactured in our country were stamped, showing at which place the goods were manufactured and import goods were stamped at toll gate. Trade routes were main highways or the navigable rivers. 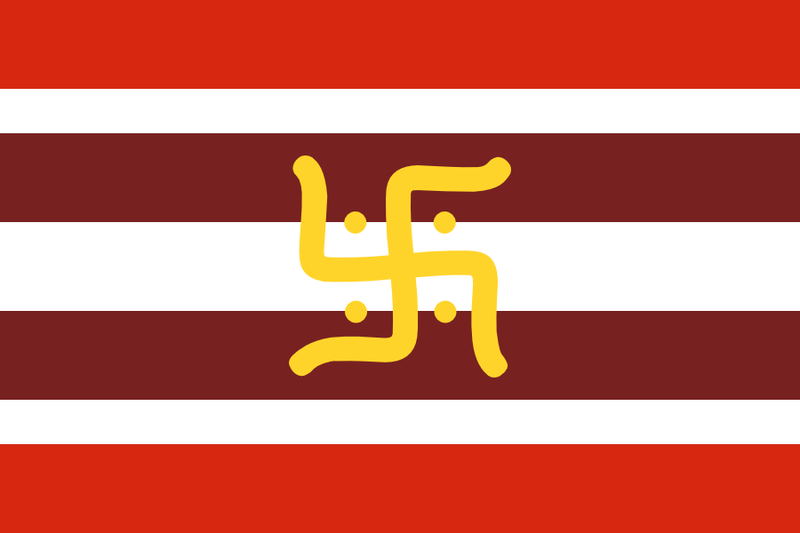 Sea trade was conducted both to the west and with the northern coast of Burma. Another important economy was crafts and industries. Textile workers were given due importance during Chanakya’s period. This is mentioned in his book. Cotton fabrics were made at Madhura, Aparntha, kalinga, Kashmir, Vanga, Mahisa. The use of money became quite popular during Mauryan period. Money was not only used for trade, but also government officers were paid in cash. Silver punched coins which carried symbols of peacock formed the imperial currency of the Mauryan Empire. Brahmins, children and handicapped were exempted from paying taxes. Tax evasion was considered as a serious offence and offenders were seriously punished. After Ashoka’s death no big successor came to rule. The main reason for decline is weak successors, foreign invasions, independence of the provinces, internal revolt led to the decline of Mauryan Empire. Emergence of new kingdoms like Kushan Dyansty and many more also led to the decline.